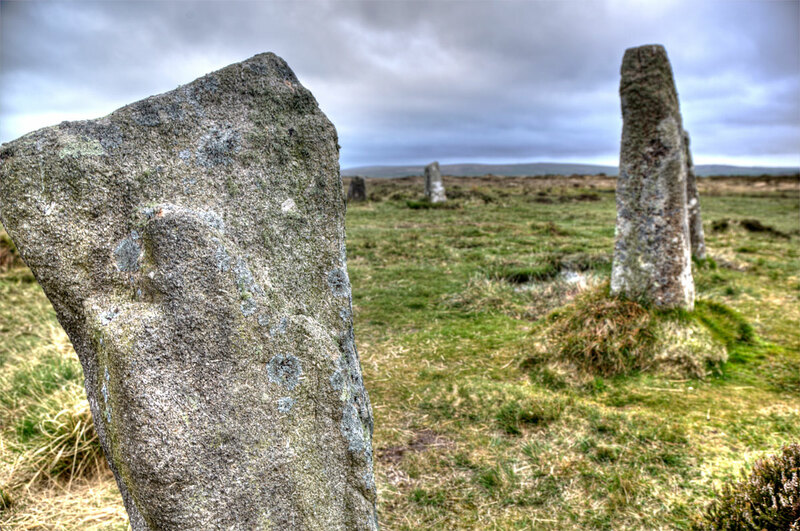 The Boskednan stone circle is located in an area of moorland rich in megalithic sites. 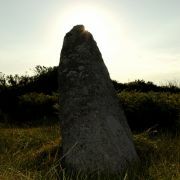 Within a mile of the site are notable stones such as Men-an-Tol, Men Scryfa and Carfury menhir to mention a few. Within the immediate vicinity of the site are other features including a stone lined burial chamber (cist) and various other mounds, all of which give the sense that this was an important ceremonial site. 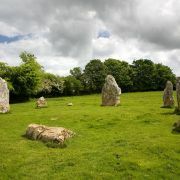 The stone circle at Boskednan consists of nine stone still standing and two fallen stones. 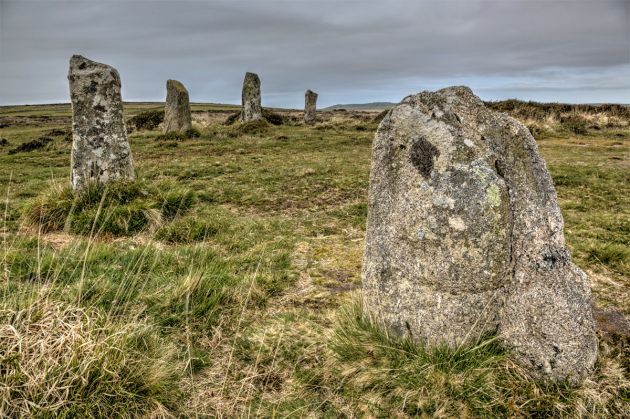 Whilst the site is also known as the Nine Maidens or the Nine Stones of Boskednan it is likely there were originally 22 or 23 stones evenly space around the 69 metre (200ft) perimeter. 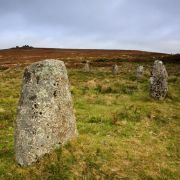 In fact the antiquarian William Borlase notes in his 1754 book Antiquities, historical and monumental, of the County of Cornwall that there were nineteen stones upright. 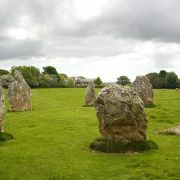 Like many of Cornwall's ancient monuments it appears Boskednan was subject to the activities of miners and farmers who broke up the rocks for their various purposes. The majority of the stones on site are around one metre in height. However, there are three stones on the northern edge of the circle that are considerably taller, measuring nearly 2 metres. 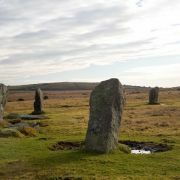 Interestingly these taller stones line up with Carn Galva, the highest point on the West Cornwall moors. It would be likely that this had some significance. It is believed that Boskednan stone circle dates back to the early Bronze Age. Excavations of the area by William Copeland Borlase, grandson of William Borlase, revealed the cist containing a chevron patterned urn of a type known as Trevisker Ware. This is contemporary of that period. As with so many ancient sites we can only make educated guesses as to their function. This area of moorland between Madron and Carn Galva has been described as a "ceremonial landscape" due to its wealth of ancient monuments. There are suggestions that alignments exist and that radiate from Carn Galva. 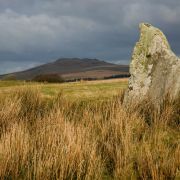 Anyone who has visited the area can testify to Carn Galva's influence on the landscape, so it is perhaps not surprising it had a significance in ancient times.